Whisper Valley Ranch where Nature is calling! There are several (hilly) hiking/riding trails, and a seasonal creek that runs through this totally fenced 160Â± acre property east of Santa Margarita on a private gated ranch. The charming 2,000Â± sq. ft. home offers 2 bedrooms, 2 full bathrooms, a loft that overlooks the living room, post & beam construction and custom woodwork throughout are breathtaking and a vaulted ceiling living room has a gorgeous stone wood burning fireplace. A covered front porch is a great place to relax and watch the local wildlife plus a large stone patio at the back of the home. 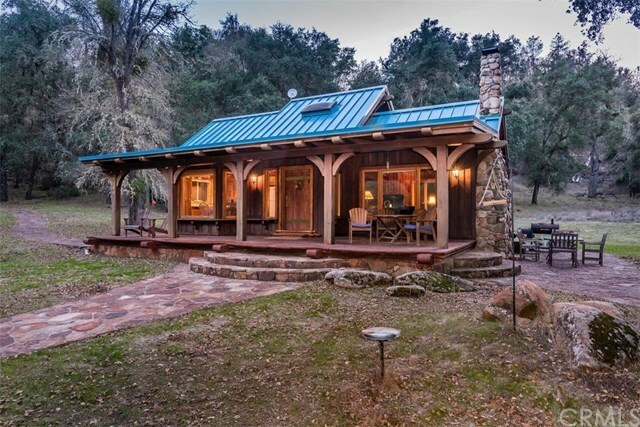 The main home, 2 car detached garage below the guest house with a workshop are located in a valley that is surrounded by large rock formations, serene meadows, hills, oaks, and pines; lovely views from every window. There is a horse corral and hitching posts. All the stars in the Northern Hemisphere and the Milky Way are visible from the house. Very secluded, but there is a boutique winery Soaring Hawk at the adjoining property, and it is only 30Â± minutes from San Luis Obispo, Paso Robles, Templeton, Avila Beach, and Morro Bay. About 6Â± miles from the little town of Santa Margarita which features a gourmet restaurant, The Range, Ancient Peaks winery, zip lining, Dunbar brewery, Porch Cafe, and Home Santa Margarita (features Joanna Gaines furnishings). There is a private helicopter pad to bring your guests!